1800 kids receiving their first Bible at camp....priceless. 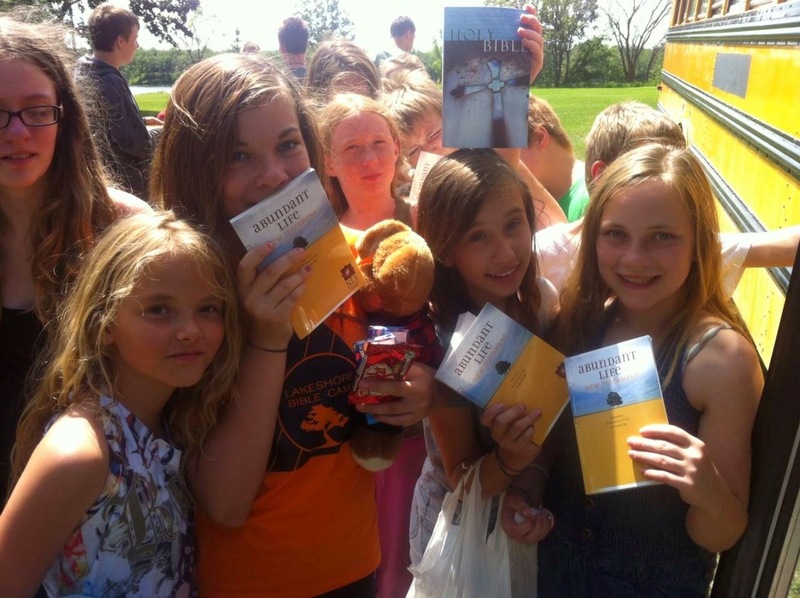 (Manitoba) and for Child Evangelism Fellowship (B.C.) camps this summer. These New Testaments will be given away to all the unchurched kids who will be attending the camps. Whatever Bibles are left over, they are going to challenge the kids/teens to share their faith and give a Bible away to someone when they get home. This is an awesome opportunity to pour into kids lives with the Word of God. This project will cost Give the Word $4000.00. That's only $2.22/Bible. If you would like to support this project, you can call us and donate by credit card 204-803-5773 or you can mail it in. You can also email me at info.givetheword@gmail.com for info on mailing in a donation or if you just want more info about the project. Together we can Give the Word...change a life. A few days ago, I received an email from a ministry called New Beginnings Womens Treatment and Rehab centre. They have a canadian office in British Columbia but do their mission work at the treatment centre in Baja, Mexico. The Canadian Director called got in touch with with Give the Word to introduce me to their ministry in Mexico and put a request in for us to partner with them by providing outreach focused Spanish Bibles for the women and their children at the centre. All the women who come to the centre suffer from sexual exploitation, addiction, abuse and many who are just getting out of prison and have nowhere to go. The workers have a passion for these women and their kids and work with them through their recovery, to show them love and lead them to relationship with Jesus. How could we say no to a ministry like this? We can't. We sent them 5 cases of Spanish outreach Bibles and took it on faith that the funds would come in to cover the cost...and they did. 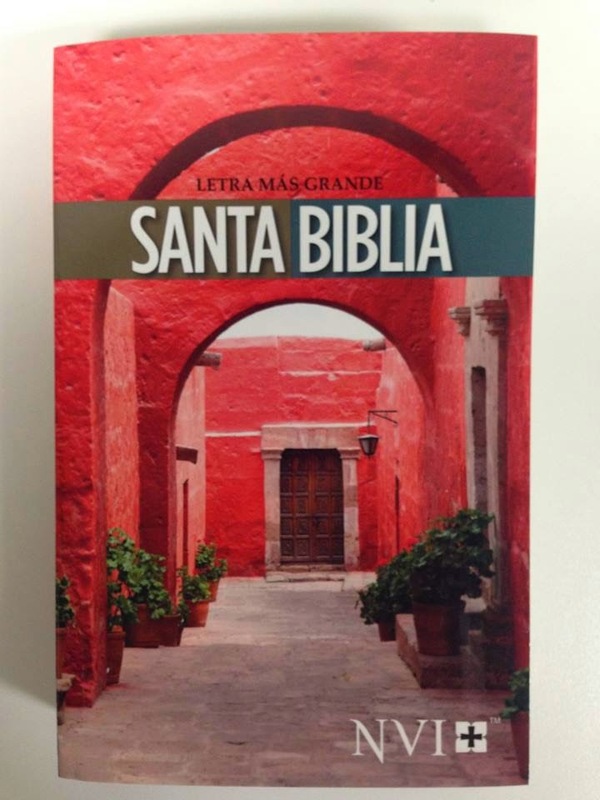 The Bibles will be taken to the centre in Baja at the beginning of April. Thanks to all our supporters who make the ministry of Give The Word possible. 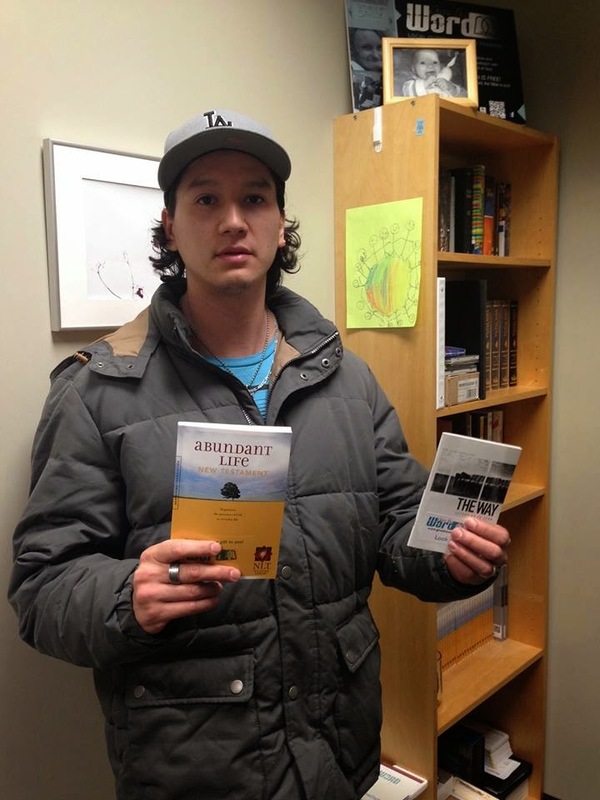 Lance found out about Give the Word through seeing our Bibles being given away at a church service in Winnipeg. The pastor directed him to Give the Word and he contacted me to share his passion for sharing his faith and asked if we would be able to provide him with Bibles to give away. Lance shared about how he is playing in a hockey tournament this weekend with many of the teams being from first nations communities. Being First Nations himself, he thought this hockey tournament would be a great place to introduce people to Jesus. 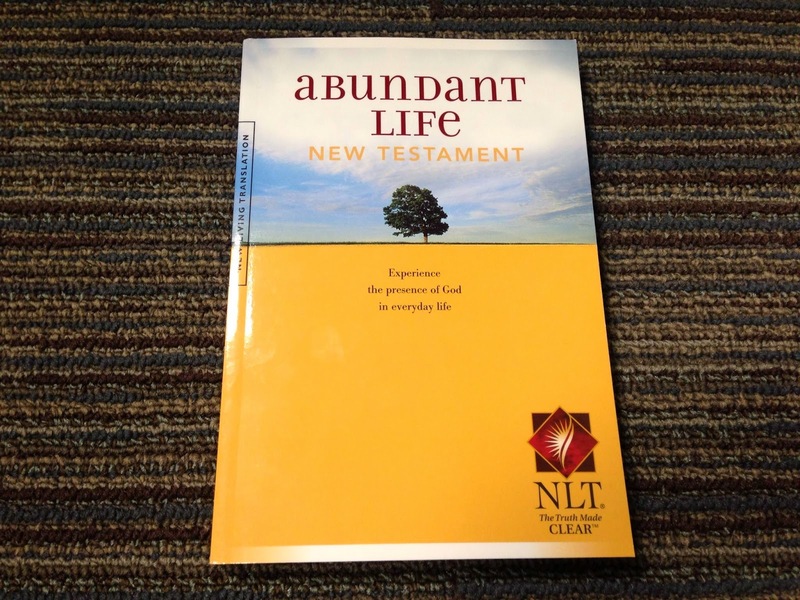 We were abel to give Lance and his family a whole case of NLT New Testaments as well as a case of Gospel of Johns. They will be giving them out all weekend to anyone who is interested in hearing about Jesus. Imagine if we were all like Lance, fearless about sharing our faith and passionate about seeing people come to know Jesus. We are so blessed to be able to give away Bibles to partner with people like Lance. He'll be back for more when they are gone and I look forward to hearing his stories and testimonies. Thanks to all our support partners who allow us to connect with so many people and ministries who have a desire to see God's Word touch peoples lives. Church of 1300 people reading the entire New Testament together. 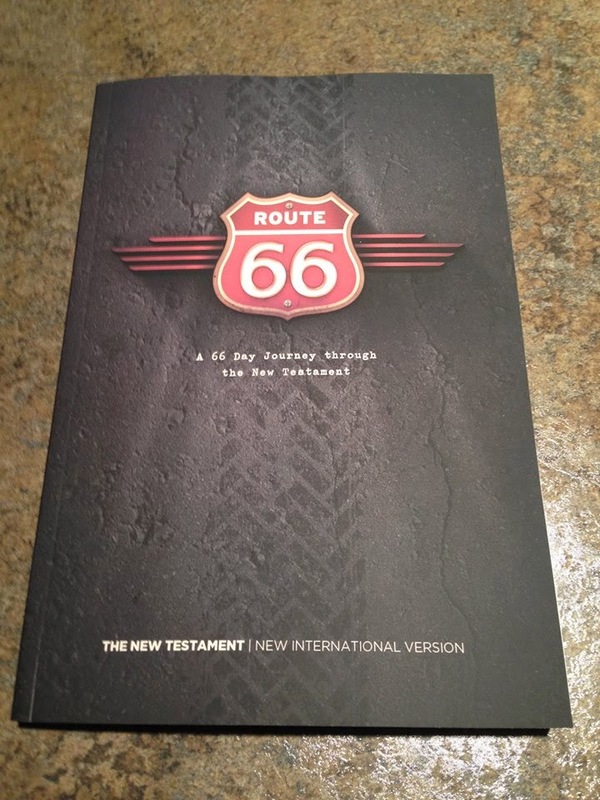 We just recently partnered with our church (Riverwood Church) for a project that has the entire church reading through the entire New Testament in 66 days. We were able to provide 1300 bibles which custom covers designed for this project along with an imprinted reading plan inside the cover. This was a lot of fun to see happen. Many of the people at riverwood are brand new Christians and people who are still searching and have never read the Bible like this before. What a way to go get back into the Word! !